Geetanjali Resort is cradled in the natures own backyard in the town of Gangori in Uttarkashi which is famous for its world class hospitality service all around the region. The resort not only offers refuge as a break off from the usual honk and log jams of a city life but it also brings its guest closer to nature as it is located on the Gangotri National Highway and is a natural resing place for weary tourists and pilgrims. 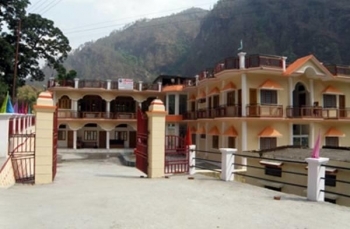 The hotel is located at Garampani, Gangori on Gangotri Road and is 5 Km away from Uttarkashi in Garhwal region of Indian state of Uttarakhand. The place is situated at a height of 3,000 meters above sea level. Famous tourist spots are Gangotri Temple in Gangotri, Tapovan, Bhairon Ghati and Submerged Shivling are some of the places around Gangori that have religious significance as well. 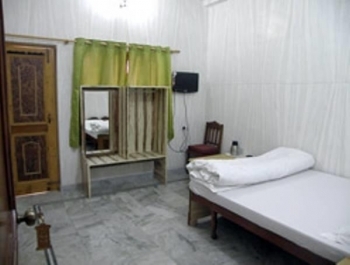 Rooms are appointed considering the requirement and budget of the guest and attemps are made to provide best of the accomodation and facilites in keeping with the highest standards of hospitality.It offers Double Beded, Four Beded, Six Beded and Dormitory category accommodations to its guests. The inhouse restaurant cooking staff prepares all kind of delicious food on the behest of the visiting guest, the dedicated service staff is ever so humble and ready to satisfy the guest at their very instance to be at par with their expectations. - Fully furnished, spacious, attached bathroomwith,attractive decor, 24X7 running hot and cold water, DTH connected LCD, all room are carpeted ,breath taking view with top class service. Gangori is well connected by road links to Delhi (407 Kms) and Dehradun (210 Kms). It is also well connected to other major towns of the state and region by buses, Taxies. Nearest airport is at Jollygrant which is 187 Kms from Gangori. From here, either board a taxi for Rishikesh (20kms) and board a bus from Rishikesh to Gangori via Uttarkashi or directly board a taxi. Nearest railway station is at Rishikesh which is (177 Kms) from Gangori. You can board a train for Rishikesh from Haridwar or Dehradun.